I deleted the layer then turned off all of the other layers (including unchecking the masks in each) and repeated the experiment. Same result. I then followed the pattern of deleting the new Pixel Layer, then deleting one of the layers with a mask, recreating the Pixel Layer and filling it. Same result each time. I'm left with a file (attached) in which I seemingly cannot add a maskless Pixel Layer. The file contains 2 layers, the new Pixel Layer (unfilled) and the image I started with - note that it contains no masks (as I've deleted the layers with masks). 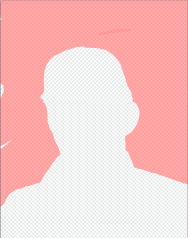 If you Shift-F5 and fill the Pixel Layer with a color, you should see the fill applied with the non-existent mask. If you delete the Pixel Layer and recreate it, the same thing happens when you apply the fill. I discovered the issue using the release version and reproduced it with the .258 beta. I presume reporting it here will suffice. Edit: I didn't really reproduce the issue in the beta - I took the file I created in the release version into the beta and saw the same behavior. I need to reproduce the whole thing in the beta which will take some time. I'm working on it now & will update this post when I've verified my claim. Edit: I don't think the beta is at fault - I can't reproduce it at any rate, and I notice the behavior is a bit different between the release version and the beta. Given that it does not seem to occur in the beta (as long as I start with a fresh file), is there a reason to report this against the release version? On the current release, I was able to recreate your problem on the provided file. It looks like you have a hidden selection somehow. But, after I hit Ctrl-D (Deselect) the problem disappeared. You can see in the Channels Panel that there is a pixel selection, you can also see it if you toggle the Quick mask mode on. What's strange is that you should see the "marching ants" of a selection if you toggle the quick mask. You're right about the Pixel Selection Channel - I hadn't noticed that. Something is narfed in the file, I expect.